Edition: Limited edition 20/45 , pencil signed at lower right. 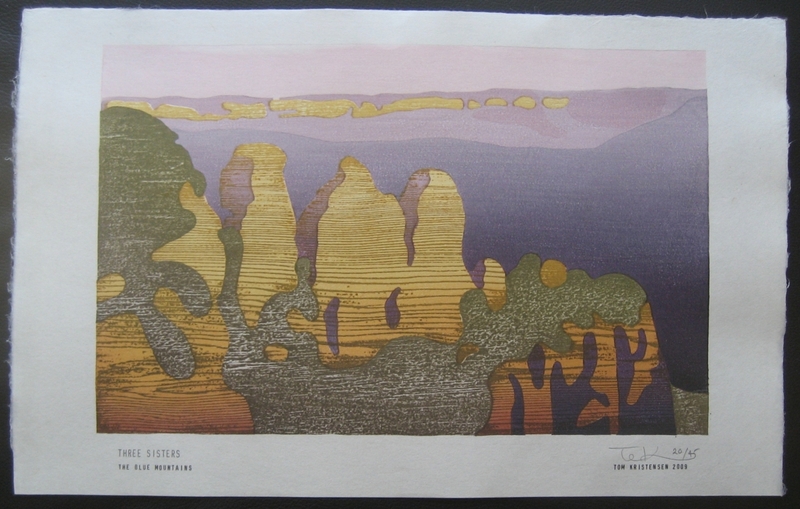 Description: Woodblock print showing the Three Sisters in the Blue Mountains west of Sydney (Australia). The printed image is 13 1/2" x 8 1/2" and the sheet size is 17 1/4" x 10 3/4". This print is a 'pair' to Mount Solitary (the description for that print includes additional detail provided by Tom Kristensen regrading the making of these prints).